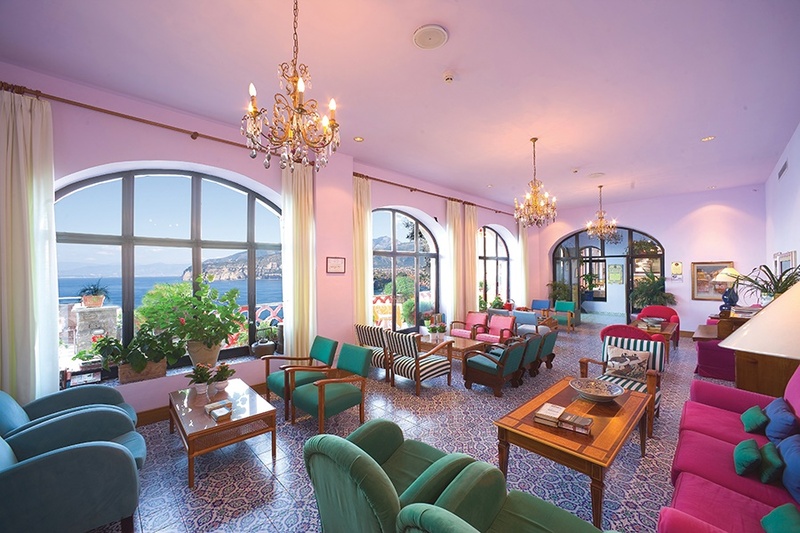 The charming Hotel Minerva built in 1875 is one the oldest and most well established hotels in Sorrento. The hotel has been modernised through the years whilst preserving its original charm and character for which this hotel is renowned for. 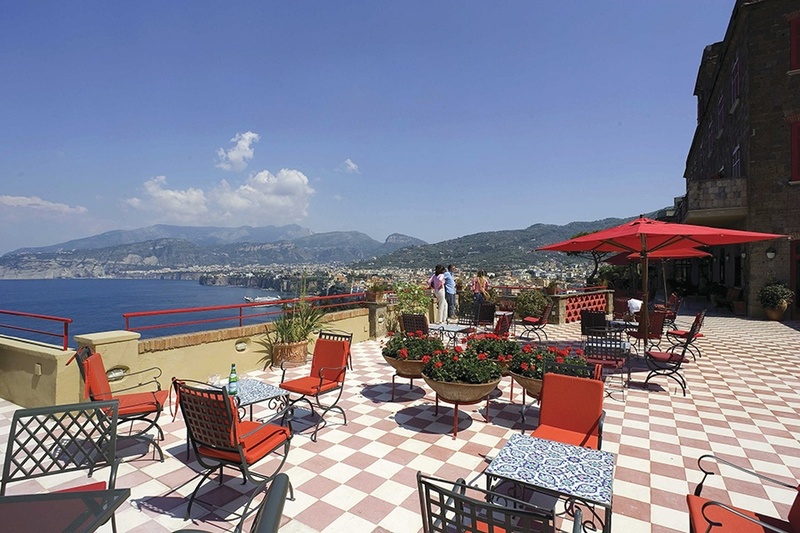 Situated in a splendid position built into a cliff side the hotel commands a magnificent view of the entire Gulf of Naples. Bright comfortable lounges to share a cocktail and relax in combined with friendly and professional service continues to make this hotel a most popular holiday choice with many guests choosing to return to this beautiful hotel time after time. 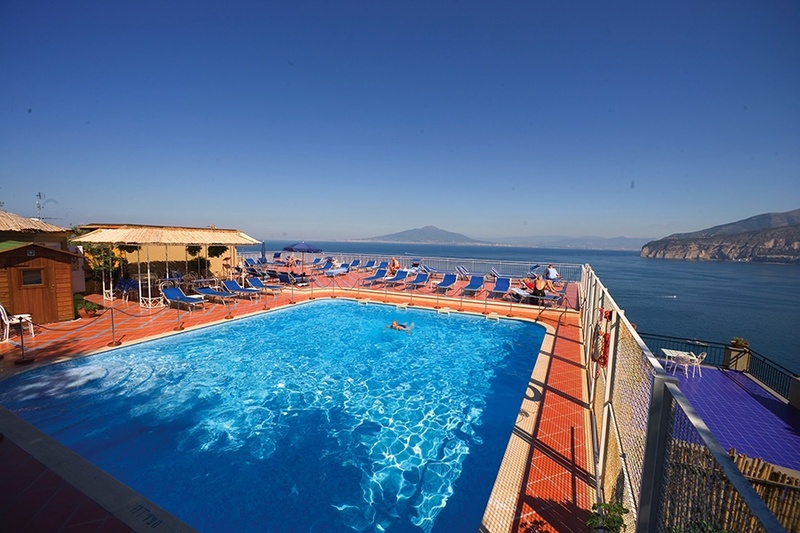 Situated on the main road out of Sorrento just a short walk to the centre of Sorrento. 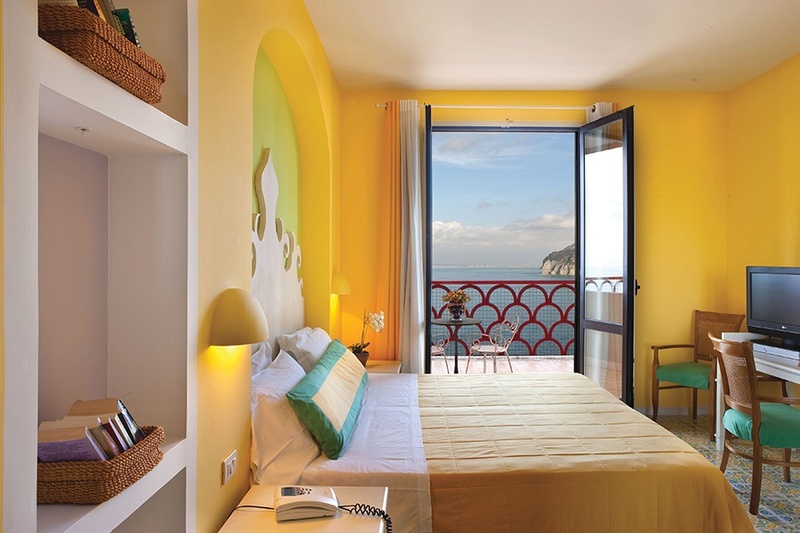 Double rooms: Rooms with a seaview and no balcony and double room with seaview and balcony are available with supplement. All Room Facilities Include: Air conditioning (June / Sept), satellite TV, direct dial telephone, safety deposit box*. Bathroom with shower or bath and hairdryer and Cot*.